The Sexto Sol Center seeks to contribute to and celebrate progress toward creating right relations among the world's peoples. In this section we provide information on the effort of First Nations around the world to establish the proper recognition of their status as nations. We also periodically post news about cases where the impact on indigenous communities of free trade which afford an inordinate measure of rights to foreign companies seeking access to raw materials on their lands. Extractive projects, concieved of in board rooms far from indigenous lands, force the communities to take a defensive stance against extractive activities that put their lives and livelihoods at an unacceptible level of risk. Traditional peoples know how to keep their lands in balance and do so as a contribution to the integrity of the entire planet. The tragedy of mining, logging, oil exploitation, water pumping and other resource extraction in the territories of native peoples against their will requires solidarity from the international community. We can all begin by reducing our consumption of the Earth's resources. We can work toward an energy policy that is not based on corporate profit-making at all cost, but on the responsible use of the gifts of a finite planet that we will leave for future generations. The Sexto Sol Center was formed because of a commitment to assist refugees from Guatemala living in Chiapas. Through our work we collaborate in indigenous communities to help people reach their goals, whether for a better income, better nutrition, better education for the children or to defend their rights. 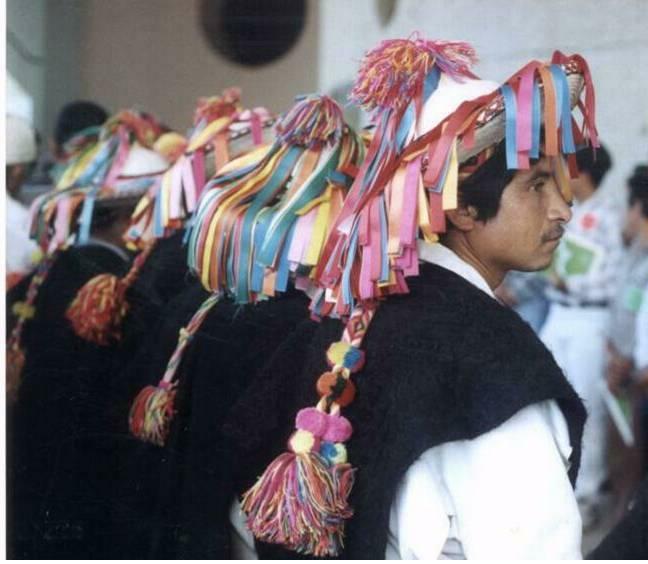 Photo: Celebrating the signing of the Peace Accords in Guatemala at a ceremony held by refugees in Motozintla in 1996. Through the adoption of the Declaration on the Rights of Indigenous Peoples, the United Nations marks a major victory in its long history towards developing and establishing international human rights standards. It marks a major victory for Indigenous Peoples who actively took part in crafting this Declaration. The 13th of September 2007 will be remembered as an international human rights day for the Indigenous Peoples of the world, a day that the United Nations and its Member States, together with Indigenous Peoples, reconciled with past painful histories and decided to march into the future on the path of human rights. I hail representatives of Indigenous Peoples who patiently exerted extraordinary efforts for more than two decades to draft and negotiate the Declaration. This Declaration has the distinction of being the only Declaration in the UN which was drafted with the rights-holders, themselves, the Indigenous Peoples. I hail the independent experts and representatives of States and NGOs who contributed actively to this process. This magnificent endeavour which brought you to sit together with us, Indigenous Peoples, to listen to our cries and struggles and to hammer out words which will respond to these is unprecedented. 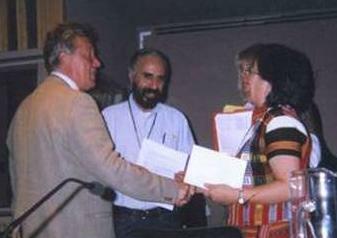 The long time devoted to the drafting of the Declaration by the United Nations stemmed from the conviction that Indigenous Peoples have rights as distinct peoples and that a constructive dialogue among all would eventually lead to a better understanding of diverse worldviews and cultures, a realignment of positions and, finally, to the building of partnerships between states and Indigenous Peoples for a more just and sustainable world. For the UN Permanent Forum on Indigenous Issues, the Declaration will become the major foundation and reference in implementing its mandate to advise members of the Economic and Social Council and the UN agencies, programmes and funds on indigenous peoples� human rights and development. It is a key instrument and tool for raising awareness on and monitoring progress of indigenous peoples� situations and the protection, respect and fulfillment of indigenous peoples� rights. It will further enflesh and operationalize the human rights-based approach to development as it applies to Indigenous Peoples. It will be the main framework to guide States, UN bodies, Indigenous Peoples and civil society in making the theme of the Second Decade of the World�s Indigenous Peoples �Partnership for Action and Dignity� a reality. The United Nations Permanent Forum on Indigenous Issues is explicitly asked in Article 42 of the Declaration to promote respect for and full application of the provisions of the Declaration and follow-up the effectiveness of this Declaration. On behalf of the Permanent Forum on Indigenous Issues, I commit the Forum�s devotion to this duty. This is a Declaration which sets the minimum international standards for the protection and promotion of the rights of Indigenous Peoples. Therefore, existing and future laws, policies, and programs on indigenous peoples will have to be redesigned and shaped to be consistent with this standard. Effective implementation of the Declaration will be the test of commitment of States and the whole international community to protect, respect and fulfill indigenous peoples collective and individual human rights. I call on governments, the UN system, Indigenous Peoples and civil society at large to rise to the historic task before us and make the UN Declaration on the Rights of Indigenous Peoples a living document for the common future of humanity. The following are cases of progress and cases of resisitance. For more information on a case, please consult the internet. Grand Canyon, AZ � In defiance of legal challenges and a U.S. Government moratorium, Canadian company Denison Mines has started mining uranium on the north rim of the Grand Canyon. According to the Arizona Daily Sun the mine has been operating since December 2009. Denison plans on extracting 335 tons of uranium ore per day out of the �Arizona 1 Mine�, which is set to operate four days per week. The hazardous ore will be hauled by truck more than 300 miles through towns and communities to the company�s White Mesa mill located near Blanding, Utah. After being pressured by environmental groups, U.S. Secretary of Interior Ken Salazar initially called for a two-year moratorium on new mining claims in a buffer zone of 1 million acres around Grand Canyon National Park, but the moratorium doesn�t include existing claims such as Denison�s. The moratorium also doesn�t address mining claims outside of the buffer zone. Excerpted from news release by the First Nations Human Rights Coalition. November 20, 2008 Reno and Crescent Valley, NV Last week, after years of determined opposition from Western Shoshone, the U.S. Department of Interior, through its Bureau of Land Management (BLM), approved one of the largest open pit cyanide heap leach gold mines in the United States on the flank of Mount Tenabo � an area well-known for its spiritual and cultural importance to the Western Shoshone. The area is home to local Shoshone creation stories, spirit life, medicinal, food and ceremonial plants and items and continues to be used to this day by Shoshone for spiritual and cultural practices. Over the years, tens of thousands of individuals and organizations from across the United States and around the world have joined with the Shoshone and voiced their opposition to this mine. The mine has been referred to as one of the most opposed mines in the world and indeed the level of public opposition is unprecedented for the BLM. With the threat of mine construction beginning as early as this week, the South Fork Band Council of Western Shoshone, the Timbisha Shoshone Tribe, the Western Shoshone Defense Project, and Great Basin Resource Watch, today filed a complaint in the Reno Federal District Court seeking declaratory and injunctive relief to stop the mine. Carrie Dann, a world renowned Western Shoshone elder, and recipient of the Right Livelihood Award (known as the �alternative Nobel Peace Prize�) has been among those to lead the fight to protect Mount Tenabo from mining for over 15 years. �Mount Tenabo should be left alone � no further disturbance. This mine will drain the water from Mount Tenabo. They will be sucking the water out of the mountain forever. The destruction of the water is like the destruction of the blood of the earth; you are destroying life of the earth and the people and wildlife that depend on it. Dewatering is taking the life of future generations. Water is sacred, all life depends on it,� says Carrie Dann. ROSEBUD, S.D. � The wind blows incessantly here in the high plains; screen doors do not last. Wind is to South Dakota what forests are to Maine or beaches are to Florida: a natural bounty and a valuable inheritance. and alerts Canadian government that it will not allow mining or other development in its territory without its Free Prior and Informed Consent. From the Statement of the at the Fifth Session of the Permanent Forum on Indigenous Issues, UN, May, 2006:. We consider ourselves the caretakers of our land, something that we have done for thousands of years. Our, Traditional Territories are being invaded by corporations' intent on resource extraction. Today, we face not only legislation that impairs our self'- development, but also a system designed to bring to an end our traditional life as we know it. "On October l7th 2005 Chief and Council passed a Band Council Resolution to the Federal and Provincial Government informing them that Buffalo River Dene Nation has retaken our Traditional Territory, our land, our natural resources and water. No development will happen within our Traditional Territory until we are consulted and the free, prior and informed consent of the Buffalo River Dene Nation is obtained. We are aware that the Federal and Provincial Governments and multinational corporations are poised to begin development in our Territory. At this point, we are restating to you that no development will be allowed in our Territory without our free, prior and informed consent. We would like to make it clear that we, the people of Buffalo River Dene Nation are prepared to defend our position by any means necessary." May 4, 2006: The local county in South Dakota approved plans to build a biker bar on land considered sacred land to thiry indigenous Nations of the Great Plains. Flagstaff, AZ - Yesterday afternoon U.S. District Court Judge Paul Rosenblatt issued his decision on the lawsuits filed against the U.S. Forest Service and Arizona Snowbowl in their attempt to allow the wastewater Snowmaking and expansion plan on the Sacred San Francisco Peaks. Our thanks to the NGO_ip_undecade@yahoo.com for the following information on the UN Working Group. 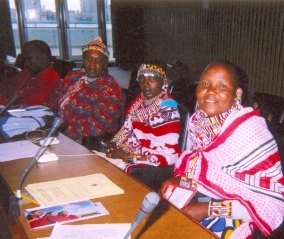 The UN Working Group on Indigenous Peoples held its 23rd session on 18-22 July 2005 in Geneva, focusing its discussions on "Indigenous peoples and the international and domestic protection of traditional knowledge". In the Congo Basin, the Ba'aka and other peoples have lived in and drawn life from the forest for millennium. This kind of long-term co-existence in a complex ecosystem is possible because the people know the rhythms and cycles of the forest intimately and are conscious of how their activities should form a sustainable part of that. U.S. based, well-known so-called conservation organizations with funding from USAID have succeeded in forcibly removing thousands of forest dwelling people from this region in order to create a nature reserve. As shocking as this sounds, we remind you that the same was perpetrated on the people living in Yosemite Valley and Yellowstone to create the national parks that are visited by tens of thousands each year in the U.S. But these egregious violations of human rights are not something we think of happening today. The Shiwa Yacu community of Kichwa people in Ecuadorian Amazonia are involved in a difficult legal fight to regain title to their land after a series of land expropriations by outsiders. In the 1970s the land reform laws did not recognize their claim to their ancestral lands, even claiming that they were uninhabited. Several people registered claims to the lands forcing the Shiwa Yacu inhabitants to have to move to the edges of their community. They have recently taken the decision to fight in court to have their lands reinstated. This community of 243 people, if they win their case, could set a precedent for the country if it were to go the right way. 2005, the Nicaraguan Government formalized the Miskito people's title to 3008 square miles of their original territory. The most recent chapter in the struggle to regain their land has taken place since the time of the revolution in 1989. United Nations Headquarters in New York from May 11 to 26, 2005. The following are interventions that we presented. To help you understand UN lingo, an intervention is what it is called when you take the floor in a formal meeting to make an observation or suggestion. Crosscutting Issues are those aspects of the human condition and/or natural world that have been identified as so important that we must keep them in mind in all discussions related to sustainable development. The Millenium Development Goals are a set of 8 goals that were agreed upon in 2000 by UN member states as targets for reducing poverty and protecting the environment. One of the outcomes for the 4th Session of the Permanent Forum is that the notion of Land as a crosscutting issue was adopted for the next and all future sessions of the Forum. For more information on the Permanent Forum on Indignous Issues and on the Millenium Development Goals, please see www.un.org. As we have all listened to the many statements from our colleagues from around the world it is striking how there are common themes reflected throughout many of the interventions. The recommendations that we will make shortly arise from this consultation of representatives from around the world. The on-going struggles of Indigenous Peoples to regain control of their lands and to administer their own affairs themselves is being subsumed under the more immediate need to defend their communities from so-called development projects that put their very survival at risk. In fact, under the prevailing economic model operating today, corporations have more rights than do Indigenous People. The trade agreements by which this strange situation is enforced were conceived of in a way that lacked transparency. Nevertheless, the free trade plan is quickly taking over so many areas of life that no one is able to escape its reach. Many States have such unmanageable debt to multilateral lending institutions that they choose to sacrifice the futures of Indigenous Peoples when development on their land promises to produce revenue for over-burdened treasuries. Indigenous People owe no external debt. We believe that in order to reflect the actual political realities operating today, it is necessary that both the World Trade Organization and the International Monetary Fund be present in future sessions of the Permanent Forum since they are the principal players whose policies are having such devastating impact on Indigenous Peoples around the world. We also take note that, in general, when the Millennium Development Goals are discussed, women and children are incorporated as crosscutting issues. The Permanent Forum could serve to recast the debate within the United Nations by turning attention to the root causes of poverty for Indigenous Peoples, these being land and self-determination. 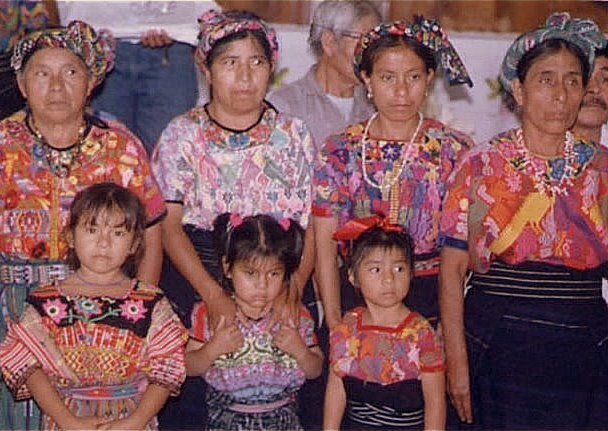 Once Indigenous Peoples have control over their own affairs and over their land, they will be in a position to further the interests of women and children. 1. That the issues of land and self-determination become the new crosscutting issues for the work of the next Permanent Forum. 2. That the Permanent Forum examine how it can be pro-active in recommending to ECOSOC that measures be taken in a timely manner to formulate a plan of action toward debt cancellation for the most overburdened nations and a restructuring of debt for the least developed countries in order to release funds needed to meet the MDGs. This debt relief should be contingent on States having a proven record of good governance as well as the commitment to invest appropriately in indigenous communities. 3. That a mechanism be put in place for the future Session of the Forum to insure that the protagonists of the current economic regime be present and accountable in discussion of the MDGs or any other issues as they relate to the concerns of Indigenous Peoples. Specifically we would like the World Trade Organization and the International Monetary Fund to participate in a meaningful way. We hope that such a dialog will serve as a model for the United Nations System to be duplicated in all discussions of the implementation of agreements that contribute to reaching the MDGs.